The title is from one of my favorite Laura Marling songs, My Manic and I. 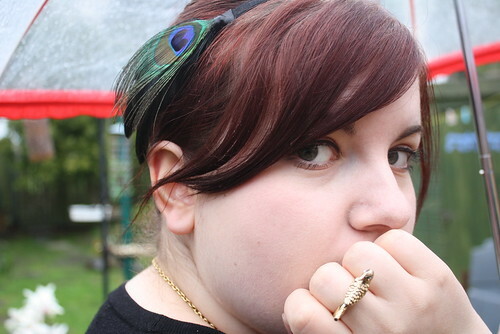 If you read this blog you'll probably know how much I love birds. I love the freedom they represent, their colours, their little beaks. 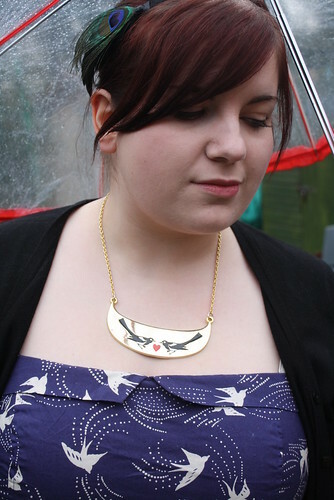 I have lots of bird printed clothes and bird themed jewellery. Well now I have permanent little bird. No, not a real one, I'd never keep them. 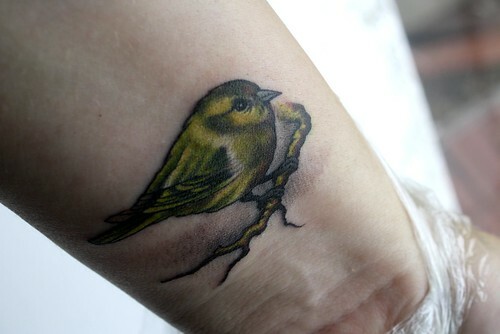 I have a little siskin tattoed on the inside of my wrist. I got him done yesterday by the amazing Julius at White Dragon Tattoo in Belfast. He did my first, and so far only other, tattoo almost two years ago. I hope you like him. He's not looking on top form today as he is in the process of healing, but isn't he sweet? I got the dress yesterday, it was supposed to be £20 but was only £16 as new look have double student discount on at the moment! 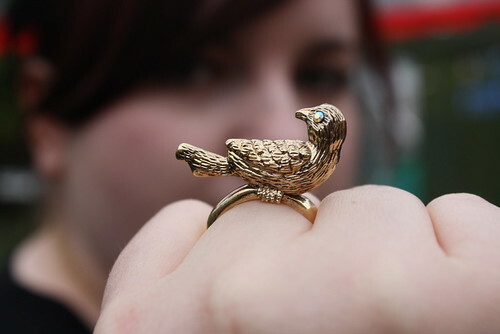 This ring was only £3 in the sale. This is a photo I took yesterday after getting it done, and a photo of my old one when it was first done. I love your style so much and your tatoos are fabulous. If I didn't have such a terrible phobia of needles they'd be exactly the sort of thing I'd like to adorn my own body! I've been eyeing that dress in New Look for ages. I really must go and pick it up! 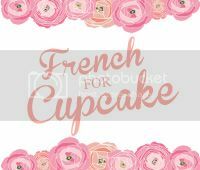 It's luvverly! 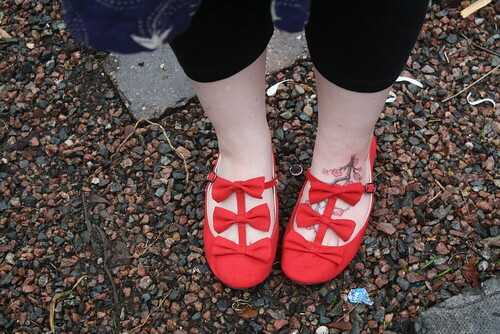 I have never seen a foot tattoo that i liked before, but that is just beautiful. Keira went nuts when she saw the piccies and would like your bird one on her wrist asap. She wants to know if she can get it for her birthday LOLOLOL! Oh they're both beautiful. Any particular reasoning behind choosing that bird? I'm another one that's been eyeing that dress up. It's just such a gorgeous shape and pattern. You're absolutely beautiful. I love the dress and the ring! The birdie on your wrist is adorable! I love it. 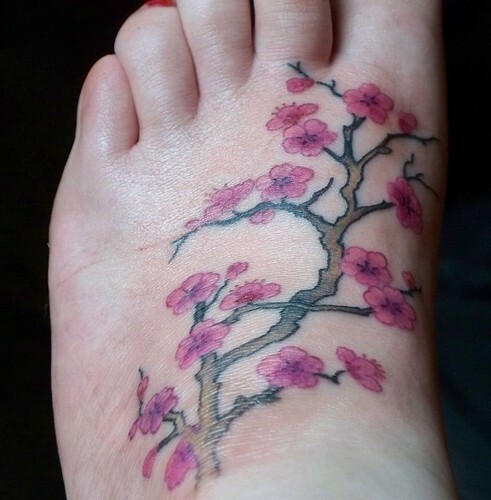 And wouldn't you know, I have been wanting to get my third tattoo... which I plan to be cherry blossoms on my foot! 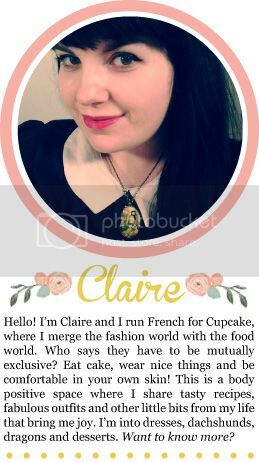 If you don't mind, I'd love to use your picture as a reference photo. Your whole outfit is just precious. It's bird-centric but so subtle, too! I love the shoes. i absolutely love your bird! If I could stand the pain I would have tattoos like both of those! 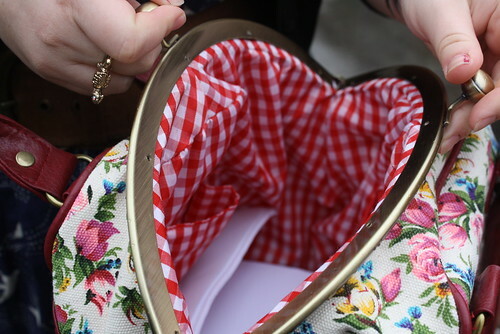 How recent is the Topshop bag? Such gorgeous, gorgeous tattoos! I just ADORE the little bird. Tattoos have this tough, 'bad girl' reputation but yours are so feminine and pretty. love love love your tattoos!! 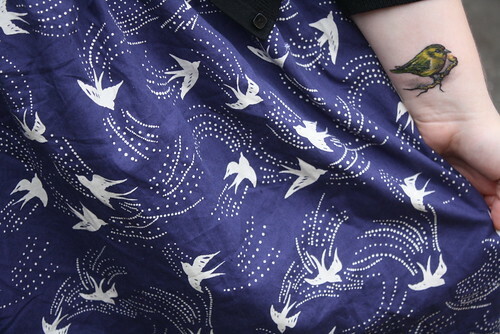 I love your style and your bird tatoo. Unfortunately I am too much of a wimp to get one. 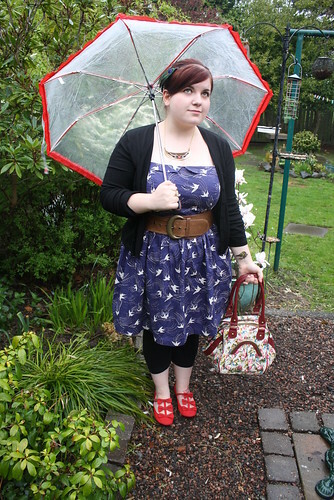 Completely weird is the fact that I bought the dress you're wearing a few days ago from New Look (in the Inspire range).